Produced under licence from 2waytraffic, a Sony Pictures Entertainment company © CPT Holdings Inc. (2016). All Rights Reserved. 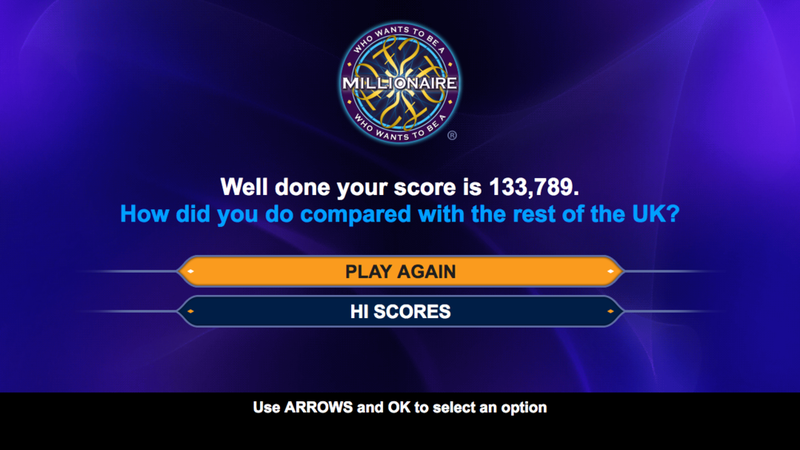 “Who Wants To Be A Millionaire?” and all associated logos, images and trade marks are owned and/or controlled by 2waytraffic, a Sony Pictures Entertainment company. Risk everything or take the money – what’s your final answer? 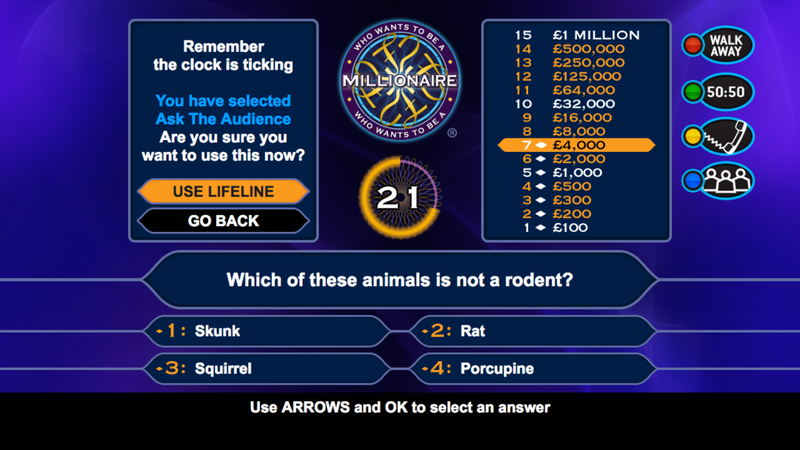 Play the classic format of the nation’s favourite gameshow and see how much money you can walk away with. Ask the audience, Phone a Friend and take a 50:50 to improve your chances of winning £1,000,000 (okay it’s virtual cash!). Can you stand the pressure or will your mind go blank? The only way to find out is to play. Get your fastest finger ready! A pay to play game with prizes and a hi-score table. Play on Virgin Media’s TiVo service and Amazon Fire TV.